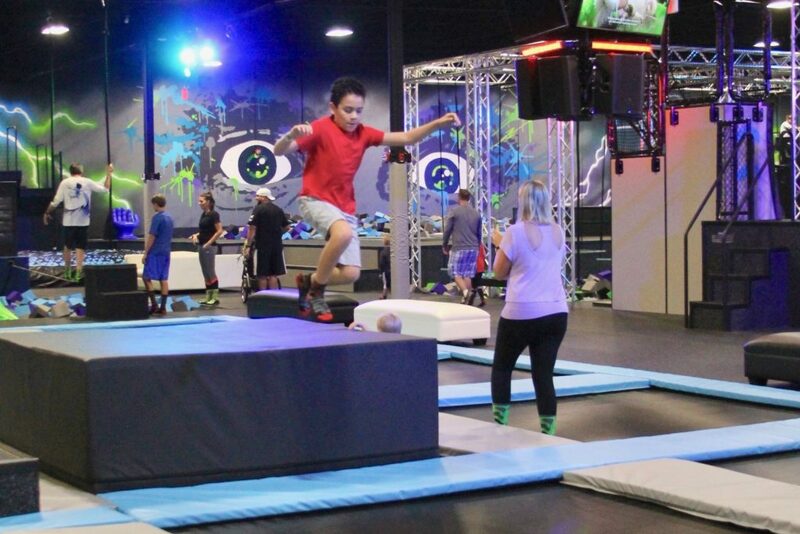 In addition to a fun open jumping space, this trampoline park also has some pretty cool features your teen/tween will enjoy, like the battle beams, ninja course, and trapeze. Everyone in the family enjoyed jumping in the trampolines, trying out the ninja course and practicing different tricks and jumps. It was one of the most fun afternoons we’ve had in a while. I love that the kids got a great workout as well, and so did the adults. Defy Fort Myers is open Monday through Thursday from 9 a.m. to 9 p.m., Friday through Saturday from 9 a.m. to midnight and Sunday from 11 a.m. to 7 p.m. If your teen or tween thinks regular bowling is boring, take them to Headpinz Glow Bowl for a change of pace. They’ll love rolling the ball down the lane toward the cool glowing pins thanks to black lights throughout the entire facility. 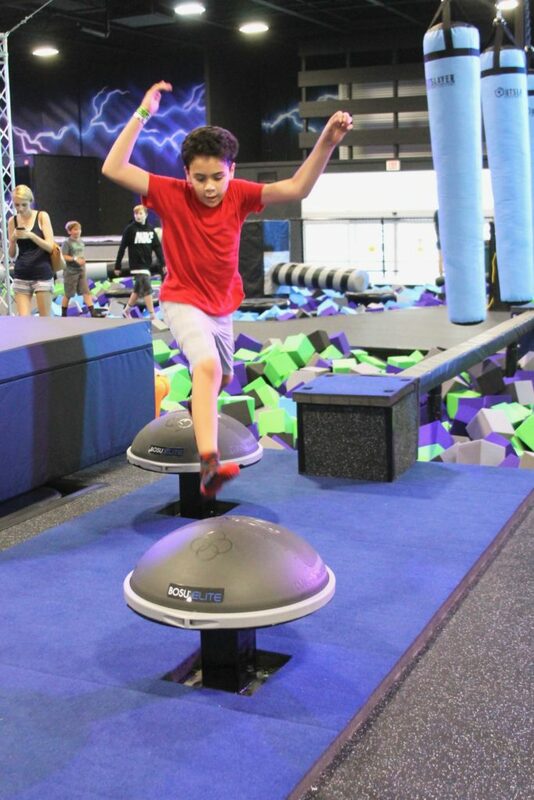 And when they’re finished with their bowling game, they can also take in a game of laser tag, take a trip through the aerial ropes course, or play a few games in the game zone. Headpinz is open at 11 a.m. every day. 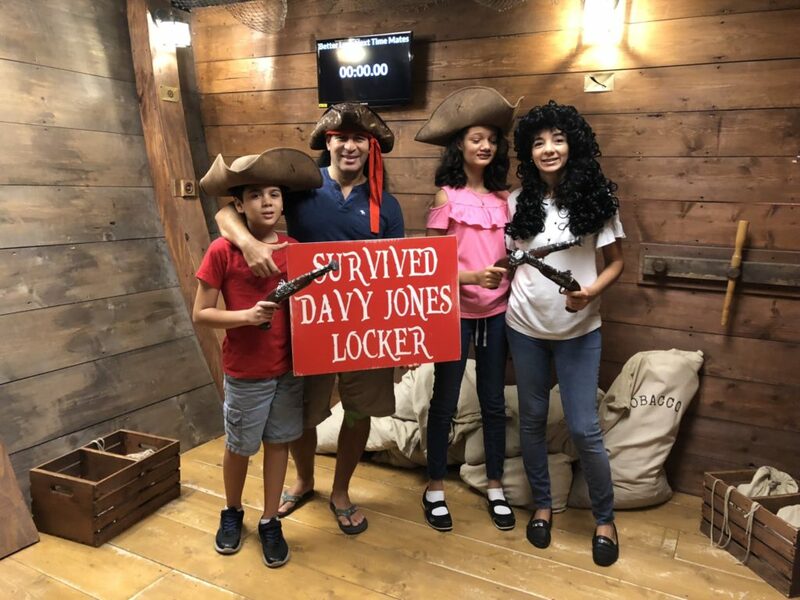 Escape Room Adventures is a great place for families. With five different challenging escape rooms to choose from, they’ll never get tired of solving the puzzles at this cool Fort Myers attraction. We had the opportunity to do the Treasure of the Seven Keys room and it was so much fun! Filled with puzzles, clues, and riddles that we all had to solve together it was a great opportunity to spend quality time together. Escape Room Adventure’s newest game, Espionage Boot Camp, tasks you with being a spy in a head-to-head competition against the clock. The attraction’s other rooms include a murder mystery, a search for treasure, a tween’s bedroom, and an alien landing spot. Escape Room Adventures is open every day from 10 a.m. to 10 p.m and it’s a great family activity that your teens and tweens are sure to love! With more than 120 arcade games, your teen and tween will surely find something fun to do at Game Time. This fun entertainment center has everything from retro classics to new releases, including fun games like mini bowling, shooting games, ride simulators, and prize redemption machines. Game Time also has a great tween-friendly menu featuring pizza, burgers, and chicken tenders. Game Time is open Sunday through Wednesday from 11 a.m. to 11 p.m. and Thursday through Saturday from 11 a.m. to 2 a.m.
What teen or tween wouldn’t love golfing with gators? Mini golf at Smugglers Cove Adventure Golf is a great place to take your teen and tween. 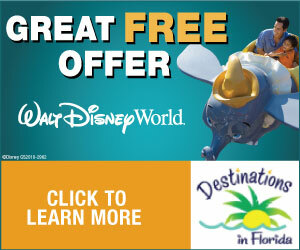 It offers an exciting 18-hole golf course featuring pirate ships, waterfalls, and live alligators. You can even use a cane fishing pole to feed the alligators after you play. Voted the best mini golf in Florida five years in a row, Smugglers Cove is the best course in Fort Myers. 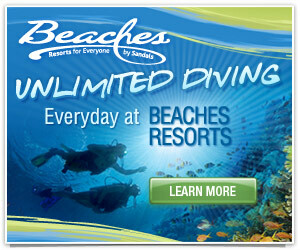 Smugglers Cove is open every day from 9 a.m. to 11 p.m.